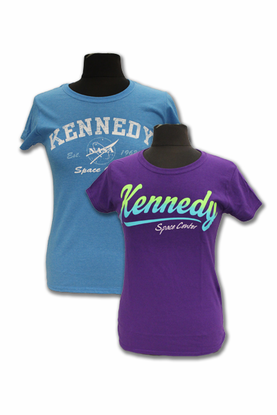 Check out the awesome blue and purple Kennedy Space Center stacker tees. Not one but two t-shirts. Get this awesome deal while it lasts! These shirts are made from a 50/50 Cotton/Polyester blend.